The SF 911-M manual shower valve is no longer available, a great new replacement is the Acute thermostatic shower valve with adjustable riser. 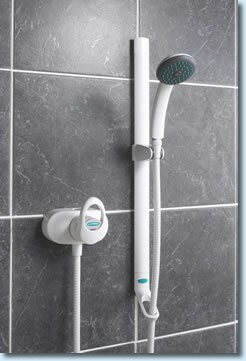 The all new Acute thermostatic shower valve with adjustable riser rail and shower handset. A perfect replacement for your old SF 911-M manual shower valve. VERY IMPORTANT: The Bristan Acute shower is NOT a direct replacement for your old 911-M shower, the old model had 96mm centres and the Acute pipe centres are 110 - 155mm. You will need to undertake alterations to your plumbing connections which is likely to include disruption to your tiling.